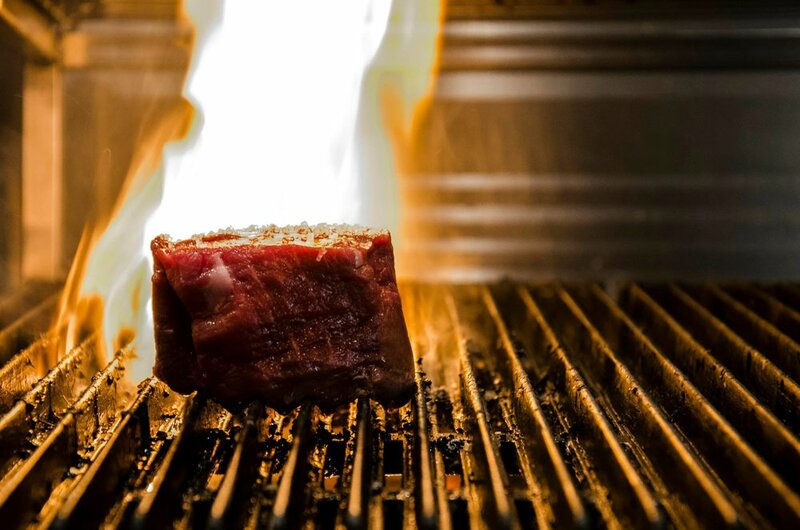 Con Fuego first opened its doors in 2013 and quickly became known as the best steakhouse in Breda. We serve mouthwatering steaks from five countries complemented by a wine list with more than 300 options to choose from. Our secret lies in our attention to detail, ensuring that each steak is handled carefully from farm to fork. We select only the finest products, including Japanese Wagyu A5, fresh truffles from Italy and lobsters from Canada. We dry-age meat on-site, in a temperature controlled, dehumidified environment. Dry aging is a process which develops the flavor and tenderness of the meat. We have chosen two types of meat with distinct flavor for the aging process. American corn-fed cows having a sweeter taste, and Dutch dairy cows being raised on grass for a purely and meaty bite. We cut your steak to order. That is how we keep every steak fresh and full of flavor. One of the closest links between man and beast is our love for meat. But what should separate us from mere animals is the manner in which that meat is cooked. Sadly, just because you’re human doesn’t mean you’re eating your meat any better than a beast. Grilling a steak truly is like art: lots of people can draw, but not everyone is Michelangelo. Thank you for your interest in Con Fuego. Please feel free to email us any questions or comments and we'll be sure to respond to you within a few days as your inquiry is very important to us. If you are interested in making a reservation, please visit our reservations tab or contact the restaurant directly.